Ask a non-Romagnolo Italian what she/he thinks about when thinking about Rimini, and 9 out of 10 will say ‘La Piada! or ‘Piadina‘. The region is famous for its simple but unbelievably tasty flat-bread. You’ll get it in most restaurants in Rimini, often instead of bread, but there are also various take-out restaurants/stands dotted around Rimini that specialise specifically in Piada with different fillings (prosciutto crudo for example, or stracchino e rucola, a cream cheese with rocket). Just as good are Cassone, which are filled, folded and sealed parcels made from the same pasta as the piada. They are to piada what a calzone is to pizza. 8 Buy some knickers in the open market! On Wednesdays and Saturdays Piazza Cavour and the area around the Castel Sismondo are taken over by the open market. Stall holders set up and call out their wares in a bustling atmosphere that’s hard to find in much of Northern Europe/US. Italians are always on the look out for a good deal, and the market is a place to get it. You can find everything from knickers through to stylish clothes, pots and pans, and general household goods. A good place to pick up shoes and leather goods. (the market has been temporarily re-located to Piazzale Gramsci, while rebuilding work continues on the Teatro Galli). San Giuliano Mare, on the far side of the port canal is one of Rimini’s brightest new areas – and at the heart of it is the nuovo darsena, or pier. Part of a massive redevelopment, you can see concerts here and special performances, but even shorn of events the pier is beautiful to walk on – particularly in the early morning or early evening. You can see the luxury yachts moored in the harbour, and view small boats, fishing boats etc returing up the port canal. It’s also a good place to head on a morning run. 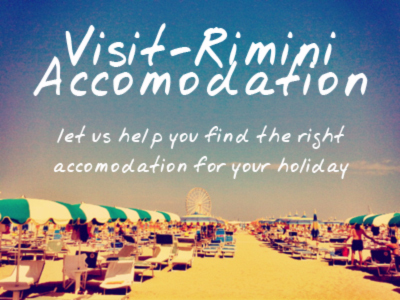 10 Enjoy one of Rimini’s special events – big and small! Rimini is famous for the big events it holds throughout the summer. There are various annual festivals like the Notte Rosa, the Cartoon Club, as well as the Italian national holiday of Ferragosto. Add to this the fact that the local neighbourhoods hold annual summer parties, and even different beachfronts hold special party nights, and you’ll see that there’s always some big/small event close by. The work of Oscar winning director Federico Fellini is filled with references to the Rimini of his youth – not least in his beautiful and bitter Amarcord. You can walk around Rimini and check out various Fellini related sites, from the monument to Fellini in the town cemetery (where he is buried, alongside his wife the actress ) through to the iconic Grand Hotel. The famous Fulgor cinema is currently undergoing rennovation, but when it is finished (in the spring of 2016) there will be a space dedicated to Fellini and the material from the Fellini Foundation. Once the city’s poorest Borgo or neighbourhood, the Borgo San Giuliano is now probably the trendiest. Part of the re-birth of the Borgo has been the imaginative spirit which saw residents develop the bi-annual Festa del Borgo, where the narrow cobbled streets get taken over by theater, music and performance. One of the traditions for the Festa was that house walls got painted with murals for the festival’s theme. Some of the murals outgrew the festival and have remained permanent fixtures, making a stroll around this charming neighbourhood all the more magical! Rimini is a great base for going up and down the Adriatic Riviera, and within a short stretch of coast you have some world class theme parks. In Rimini itself you have both Italian in Miniatura and Fiabilandia which are worth a visit, while in nearby Ravenna there’s Mirabilandia; in Riccione there’s Aquafan and OltreMare; in Cattolica there’s the giant Acquario. Most of the parks offer a second day free entrance, and some have team up to offer discounts. dei Vini e dei Sapori dei Colli di Rimini (The Wine and Tastes Route of the Rimini Hills), a route organised by an association of local producers. If you don’t fancy a trip into the hills, not to worry – the association organises regular events in Rimini where you can taste wonderful Sangiovese wine and local salumi and cheeses. This entry was posted on Thursday, July 9th, 2015 at 4:09 pm You can leave a response, or trackback from your own site.